A former scheduler in Rep. John Conyers' office said she was the victim of "unwanted touching 'repeatedly and daily'" according to court documents from this February, BuzzFeed reports. 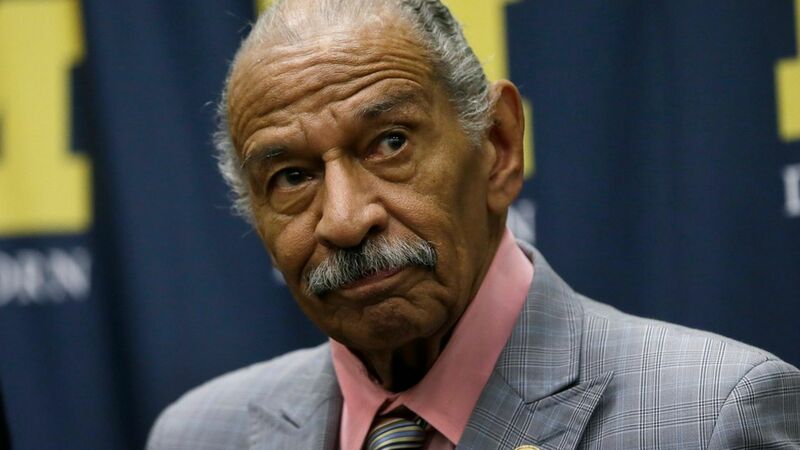 Why it matters: This woman was not a part of the sexual harassment settlement made in 2015, which Conyers admitted to making on Tuesday while denying claims of sexual harassment. The victim of the new incident sued Conyers for over $100,000, but later withdrew the lawsuit after the court denied her request to keep the complaint private. According to BuzzFeed, the staffer describes daily harassment by Conyers from May to July 2016, including "rubbing on her shoulders, kissing her forehead, covering and attempting to hold her hand," and more. She said this caused "insomnia, anxiety, depression and chest pains," which was made worse after Conyers' wife Monica called her a "whore." The staffer "eventually became so unwell" that she attempted to take sick leave in 2016, and was fired after Conyers' chief of staff Raymond Plowden "demanded" proof that she was sick. She filed a motion in February to file a lawsuit kept private from the public because she wanted to avoid "irreparably [harming]" the Congressman. It was ultimately rejected, and she "sought to withdraw her lawsuit with prejudice," which would keep her from re-filing later, per BuzzFeed.